NuForce, the California-based audio brand best known for their proprietary class-D power amplifiers, was recently acquired by Optoma Technology, known to many as a major maker of DLP projectors. Also recently, the high-end division of NuForce was spun off as a new company, NuPrime, which will manufacture more expensive products, such as the amplifiers based on NuForce’s high-end, class-D amplifier modules with Cross Matrix Array (CMA) capacitor boards. 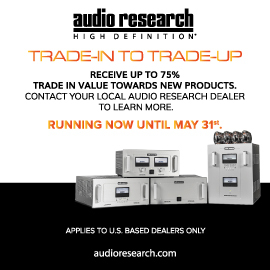 NuForce itself will continue to manufacture less costly products, but gone from their product line are many of the very small models -- e.g., the Icon integrated amplifiers -- which were popular for use with desktop systems. However, NuForce continues to offer compact stereo and home-theater components, and high-quality earphones. Thankfully, my favorite NuForce product, the DDA-100 Direct Digital integrated amplifier (discontinued), now lives on as the DDA120, which adds some key new features and a slight increase in price, from $549 to $699 USD. Like the DDA-100, the NuForce DDA120 uses NuForce’s proprietary class-D amplifier topology to keep the signal in the digital domain right up until the speaker outputs. 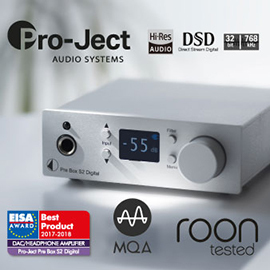 It accepts digital audio signals via an asynchronous USB Type-B input (as opposed to the adaptive USB input of the DDA-100), coaxial RCA, and two optical inputs, as well as via Bluetooth aptX with the supplied BTR1 USB dongle, which connects to the USB Type-A expansion input. There are also an optical digital output and, perhaps more useful, an analog stereo input (RCA) for connecting older devices that lack digital audio outs. 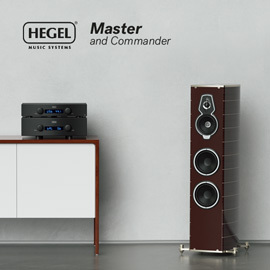 Speakers are connected via five-way binding posts, and the removable power cord has a full-size IEC connector so that you can use your favorite, audiophile-approved cord. The DDA120 measures just 9”W x 2”H x 8.5”D and weighs only 2.64 pounds. On its front panel is only a single control knob. This can be pressed and held for a few seconds to turn the DDA120 on or off, or pressed more quickly to cycle through the inputs. At first glance, the front panel appears to be a solid sheet of metal; a closer inspection reveals a matrix of tiny holes, through which LEDs display the active input and the volume level. Other than the addition of the analog inputs, an optical input, the USB Type-A expansion input, and angled placement of the binding posts on the rear panel, the DDA120 looks identical to the DDA-100. NuForce claims to have also improved the quality of some of the components, for better sound. The remote control is the same as that supplied with the DDA-100: a small, plastic affair with membrane-covered buttons for turn-off/on, input selection, volume control, and mute. The remote is functional, but I would have preferred something a little more substantial, especially with the price of the DDA120 creeping closer to $1000. The DDA120’s claimed power outputs are the same as the DDA-100’s: 50Wpc into 8 ohms, 75Wpc into 4 ohms. According to the company’s literature: “The Direct Digital Architecture utilizes a 176.4 kHz input sampling rate with an over-sampling rate of 3GB/s for smoother, more natural reproduction. An on-chip clock reference signal is used for synchronizing and re-clocking incoming digital audio data for exceptionally low jitter performance.” It also says that the analog input is converted to a 24-bit/96kHz signal so that it can be used by the Direct Digital architecture. I was a bit disappointed that, like the DDA-100, the DDA120 doesn’t support 88.2kHz digital signals through its USB input, nor does it support 192kHz signals through its USB or S/PDIF inputs. The maximum sampling rates are 96kHz via USB, 176.4kHz via S/PDIF. This might have been forgivable in a groundbreaking first effort like the DDA-100, but is less so for a follow-up effort two years later. These aren’t really deal breakers, but I would have thought that if NuForce could add analog-to-digital conversion to provide an analog input, they could have added support for these relatively common sampling rates. Also new for the DDA120 is the inclusion of a BTR1 Bluetooth receiver, which supports aptX for higher-quality wireless transmission of digital audio than the standard Bluetooth SBC codec, as well as support for AAC. Although I have some minor complaints about the DDA120’s feature set, I think it’s one of the best-looking inexpensive integrateds on the market. Its sleek, compact design and attractive matte finish -- it looks especially good in silver (also available in black) -- will go a long way toward wooing audiophiles who want to put together an inexpensive, high-quality system but don’t want to compromise on appearance. Add to this the inclusion of an analog input and Bluetooth connectivity, and the DDA120 should appeal to many cost-conscious buyers. I used the DDA120 in my second system, where it replaced my longtime reference budget integrated, NuForce’s own DDA-100. With the inclusion of an analog input, I was able to connect the DDA120 to my CRT HDTV. This was a huge advantage for me over the all-digital DDA-100, with which I’d been unable to get any audio when watching cable TV because my cable box’s digital audio output is restricted to Dolby Digital, which the DDA-100 doesn’t recognize, and my TV’s audio output is analog only. 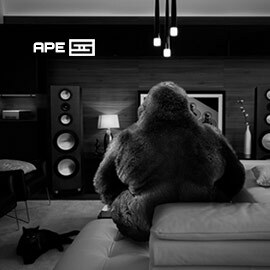 The speakers used were Definitive Technology StudioMonitor 45s, and sources were an Oppo BDP-93 universal Blu-ray player and, connected to the DDA120’s asynchronous USB input, an old Acer Core 2 Duo laptop running Windows 8.1 and foobar2000. The DDA120 also spent some time with my reference KEF R900 and Definitive Technology Mythos ST-L speakers, so that I could get an idea of its performance with more expensive gear. The first thing I noticed about the NuForce DDA120 was what a great all-around performer it was. It presented a large, convincing soundstage, excellent retrieval of detail, and precise imaging. There was deep, solid bass and good dynamics, especially considering that it’s a relatively small, inexpensive integrated. The sound also had an ease and a rightness that made it extremely easy to listen to. As soon as I cued up Lorde’s Pure Heroine (24-bit/48kHz FLAC, Lava/Republic), I was struck by the authoritative bass and immediacy of Lorde’s voice, which was fixed solidly between the Definitive Technology StudioMonitor 45s. The 45s are small bookshelf speakers, but can produce a surprising amount of bass when driven by a capable amp. With the DDA120, the bass in “400 Lux” was solid, with good control. There was nice soundstage depth in the cover of Lou Reed’s “Satellite of Love” on U2’s Achtung Baby: Deluxe Edition (24/44.1 FLAC, Island), with an honesty to Bono’s voice and an effortlessness to the Edge’s high-pitched backing vocal. The piano in “Within,” from Daft Punk’s Random Access Memories (16/44.1 FLAC, Columbia), sounded quite convincing, with a deep, resonant sound that extended to the synthesizers. Pharrell Williams sounded like, well, Pharrell Williams in “Get Lucky,” on the Daft Punk album, and there was excellent pace and drive from this little amp. When I listened to “I’m an Errand Girl for Rhythm,” from Diana Krall’s album of Nat Cole covers, All for You: A Dedication to the Nat King Cole Trio (24/96 FLAC, Impulse! ), the image of Russell Malone’s guitar was spot on, and even the low notes of Paul Keller’s double bass were placed precisely, slightly farther back on the stage. The DDA120’s rendition of Krall’s charmingly playful phrasing in “Frim Fram Sauce” and “’Deed I Do” reminded me of why I was so drawn to her singing early in her career. And talk about pace -- the DDA120 kept up with the group’s frenetic timing in “Hit That Jive Jack” during Krall’s boisterous piano solo and Malone’s swinging guitar riffs. The DDA120 was a superb audiophile-quality integrated amplifier, reproducing high-quality stereo recordings with excellent fidelity, but it was also an outstanding everyday amp for watching broadcast TV or the occasional movie. Whether it was the densely layered soundtrack of AMC’s Better Call Saul, with its many foley effects, or the more straightforward and dialog-centric sound of Fox’s peculiar but enjoyable new comedy, The Last Man on Earth, voices were always clear and easily understandable. Even at relatively low volumes, I never had to turn up the volume to understand what was being said. The jazz big bands featured in Whiplash had coherent stereo soundstages, even from a two-channel downmix of the film’s multichannel DTS-HD Master Audio soundtrack, and the drums were wonderfully dynamic without drowning out the voices or overpowering the rest of the band. Everything was exactly as it should have been, with excellent imaging and good fidelity even at reasonably high volumes. While I enjoyed listening to film and TV soundtracks through the DDA120’s analog inputs, high-quality digital audio files sounded better through the NuForce’s digital inputs. This was especially apparent in the low end, which became a bit loose in the many bass-laden tracks of Lorde’s Pure Heroine when, to use my Oppo BDP-105 as a DAC, I plugged it into the DDA120’s analog input. This wasn’t surprising -- the DDA120’s Direct Digital design means that using its analog input adds more stages of D/A conversion in the player and A/D conversion in the DDA120, when the recording’s digital bitstream could just as easily be sent directly to the DDA120. There was also a slight softness and loss of detail via the DDA120’s Bluetooth wireless input. This actually slightly tamed the sibilance of Cyndi Lauper’s voice in her The Body Acoustic (16/44.1 WAV, Sony), but at the cost of some of the drive and control of the dynamically recorded acoustic guitars and percussion. My second-generation iPod Touch doesn’t support aptX, so I can’t comment on whether or not that would improve the sound of the Bluetooth connection. Although I found the addition to the DDA120 of Bluetooth wireless operation a convenient feature, its physical digital inputs are the way to listen to high-quality digital recordings. There’s a reason that both SoundStage! senior editor Hans Wetzel and I use a NuForce DDA-100 as our budget reference amplifier: It sounds great. Through their USB and S/PDIF digital inputs, I could hear little, if any difference between the sound of the DDA120 and its predecessor, the exceptional-sounding DDA-100. Although I found that the DDA120’s physical analog and wireless digital inputs didn’t sound as good as its physical digital inputs, they did add welcome functionality over the DDA-100. My other budget reference amplification system for stereo and multichannel sound comprises an Oppo BDP-105 universal Blu-ray player ($1199) used as a DAC/preamp/surround-sound processor with an Axiom ADA-1000 five-channel power amp ($1480). While the more expensive Oppo-Axiom combo definitely had more dynamic range, and better controlled the KEF R900 speakers, than did the DDA120, the soundstage was noticeably less deep. Image outlines were precisely defined -- a characteristic I highly value -- but the relatively shallow stage made this seem less important. For instance, “To Be a Lover (Mother of Mercy Mix),” from Billy Idol’s Vital Idol (16/44.1 FLAC, Capitol), lacked the degree of 3D soundstaging it had through the DDA120. Idol’s “White Wedding Parts I & II (Shot Gun Mix)” had a big presentation that was somewhat less powerful through the DDA120, but I enjoyed it nonetheless. As long as I didn’t have to drive the KEF R900s or Definitive Technology StudioMonitor 45s to high levels, I found the DDA120’s smooth, expansive sound as involving as the precise sound of the Oppo-Axiom. 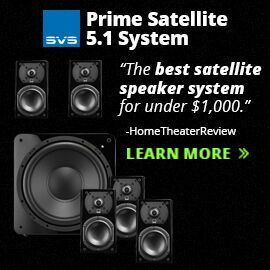 Through Definitive Technology’s efficient Mythos ST-Ls, which have powered subwoofer sections, the balance tilted more in the favor of the DDA120. 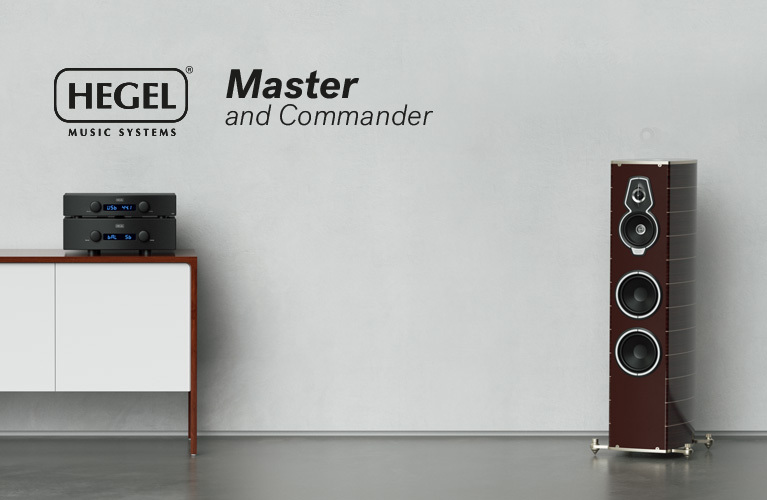 These slim tower speakers pounded out Vital Idol with authority and a larger soundstage. Idol’s snarling voice was so palpable I could almost see him sneering and pumping his fist as he belted out “Dancing with Myself (Uptown Mix).” Sure, the Oppo-Axiom combo could still play louder with more control, but I found more satisfying the DDA120’s ability to spread the sound out more evenly, with more depth, through the Mythos ST-Ls. The NuForce DDA120 sounds every bit as good as the DDA-100 that it replaces, which means that it’s a great-sounding integrated amplifier-DAC. Although it costs $150 more than its predecessor, it adds some key conveniences, including Bluetooth connectivity and an analog input. If you already own a DDA-100, it’s probably not worth upgrading to the DDA120 unless you need those features. Otherwise, if you’re in the market for an entry-level integrated-DAC, the NuForce DDA120 is one of the best out there. Warranties, parts and labor: DDA120, two years; BTR1 Bluetooth aptX USB dongle, one year.